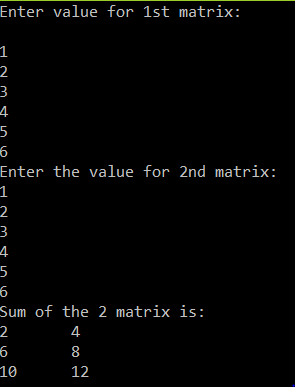 Below is the program to find the sum of two matrics in C language. You can edit it to your needs if you want to. I have taken two matrix with 3 X 2. You can change it. The following code has been executed in Dev C++ and will also work with Ubuntu gcc.